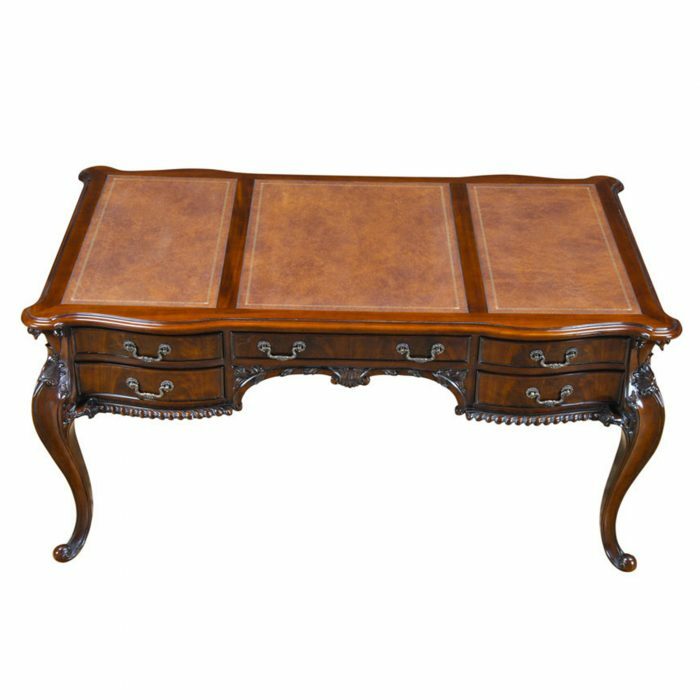 This is the Niagara Furniture version of the Leather Top Partner Desk. 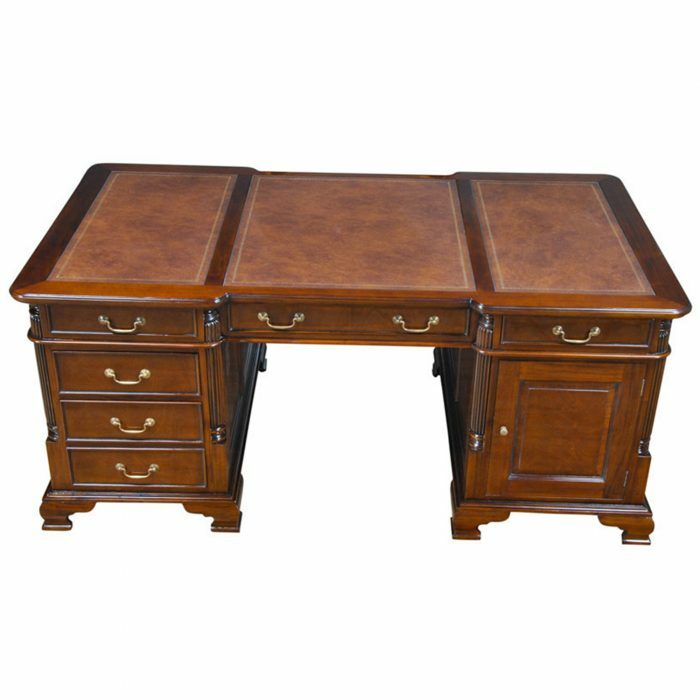 It is a true partner’s desk in every sense of the phrase with an equal number of drawers on each side of the desk. 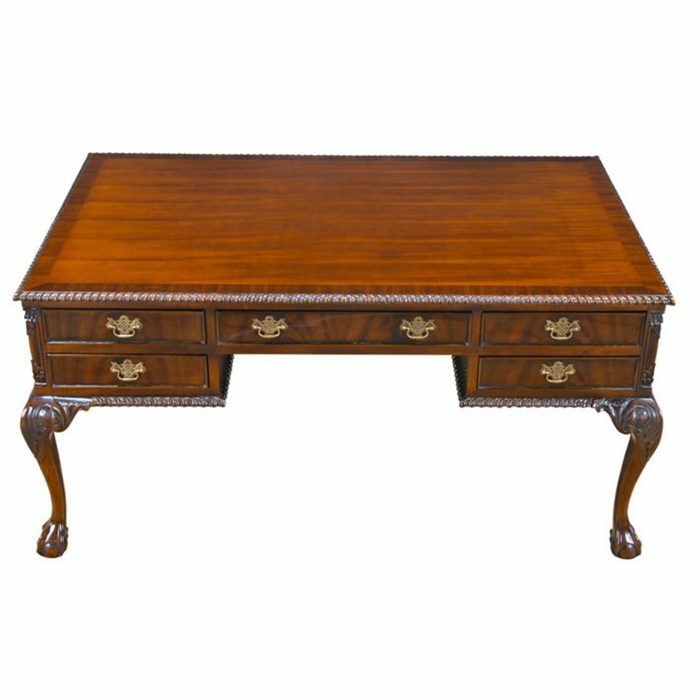 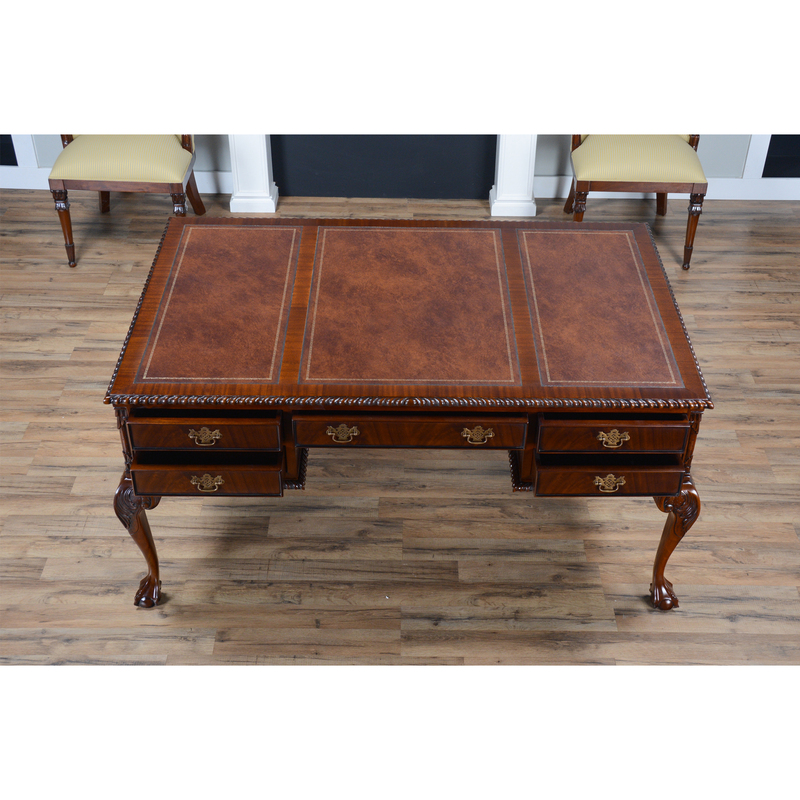 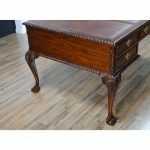 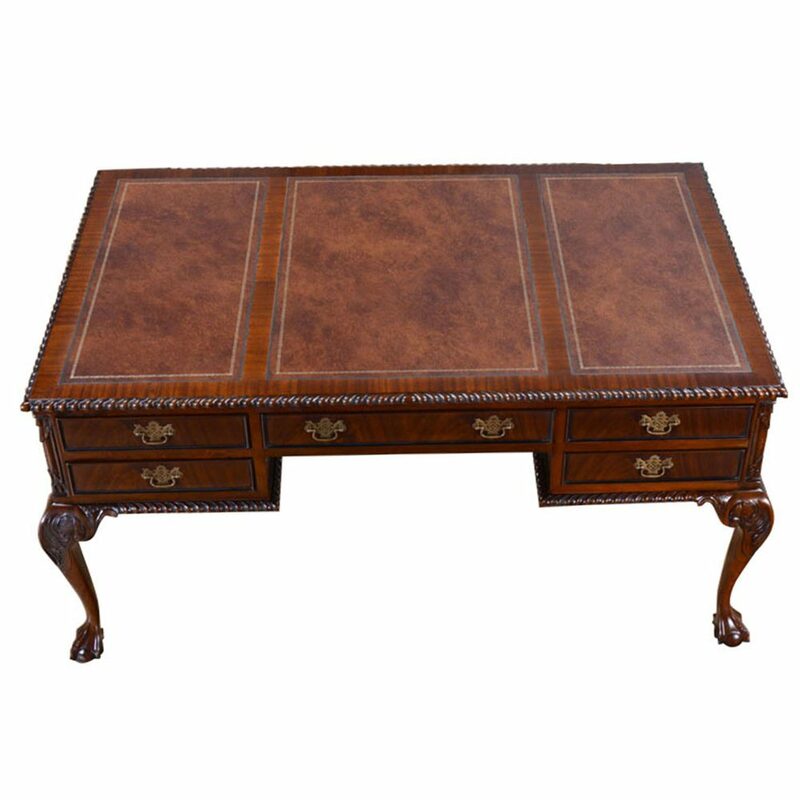 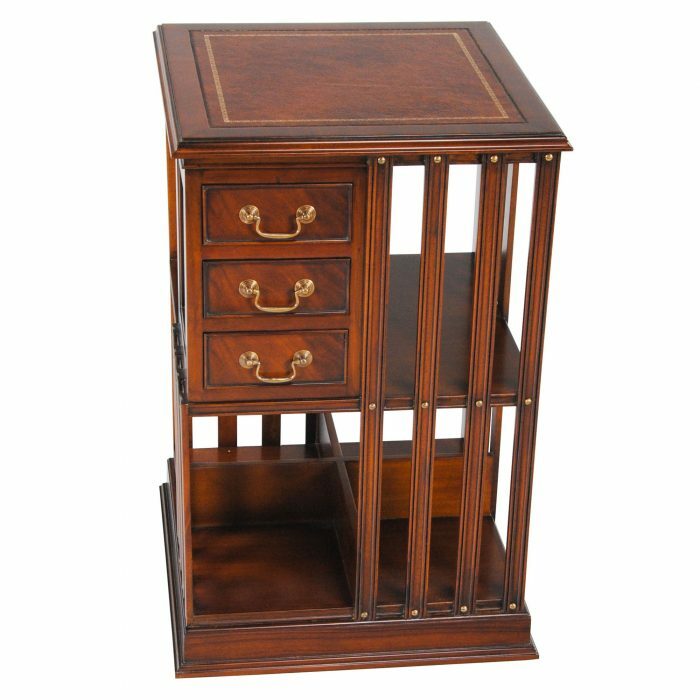 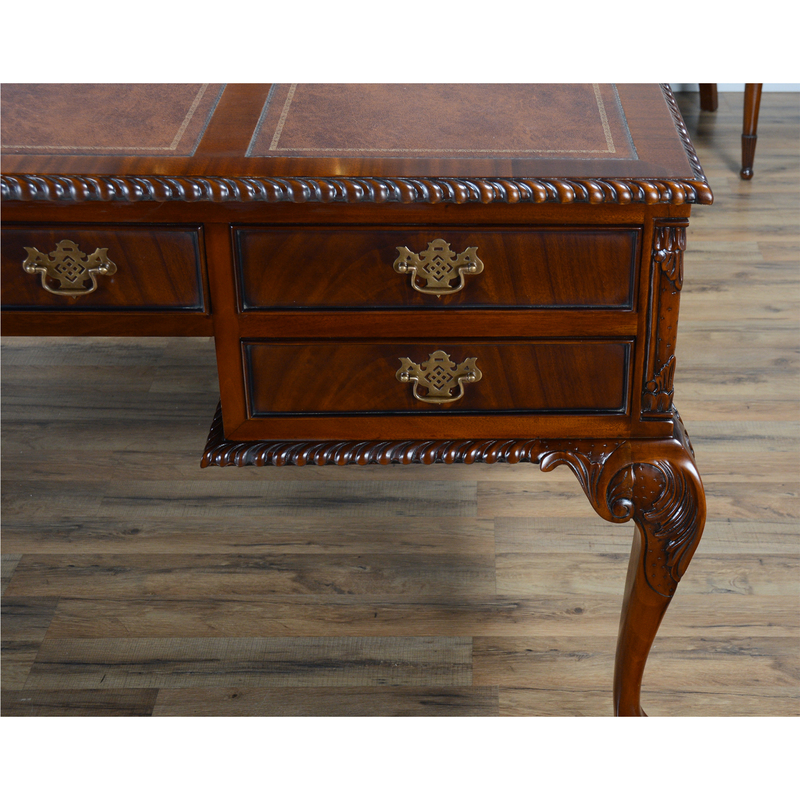 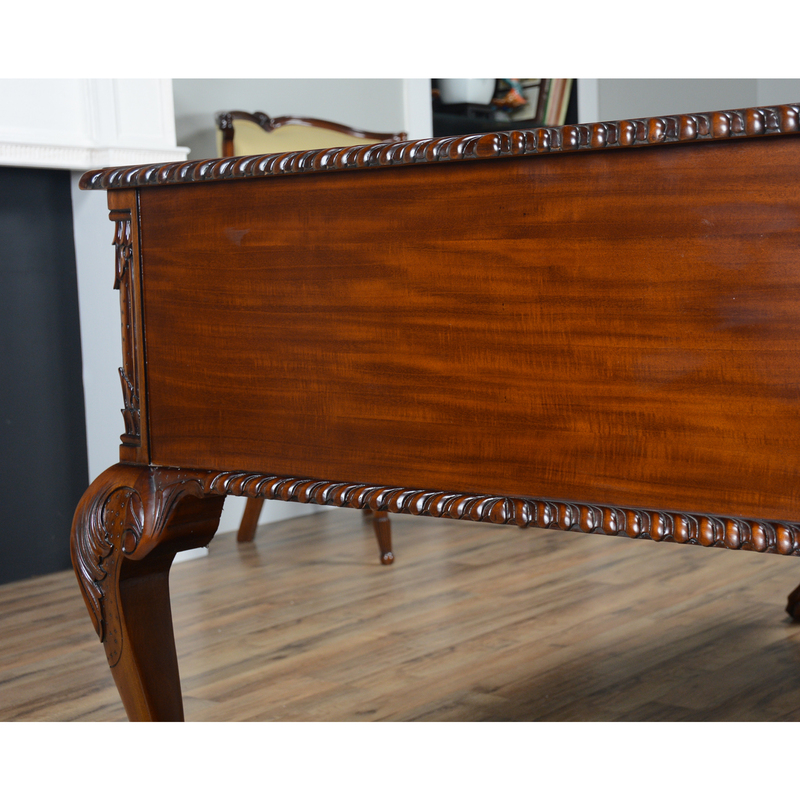 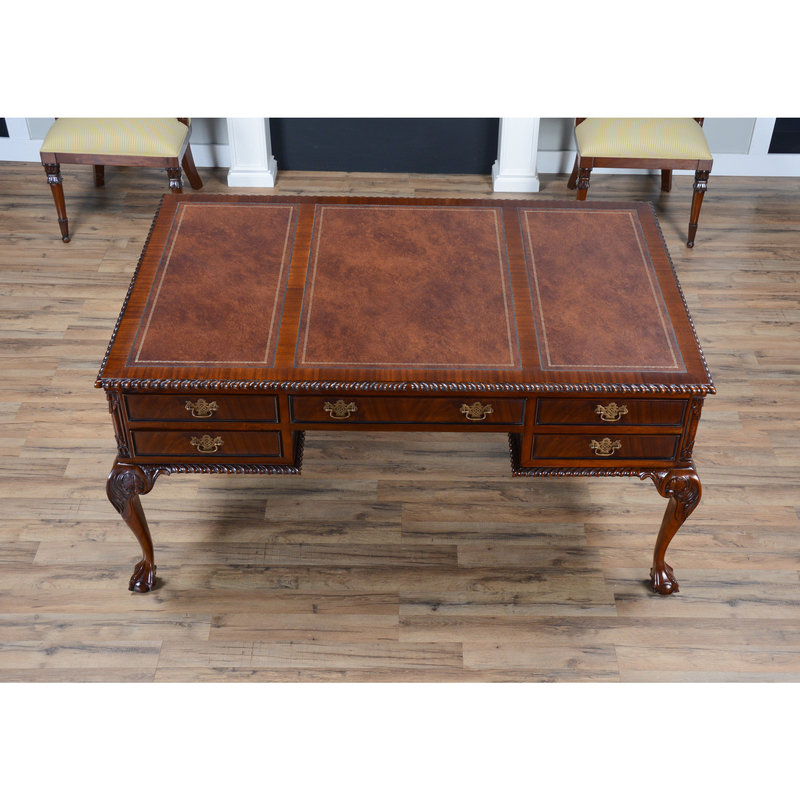 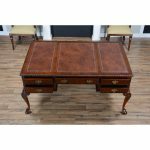 This Chippendale style high quality writing desk sets the standard for beauty and function. Made of the finest grained mahogany with sapele banding the top also boasts a hand carved solid mahogany gadrooned edge as well as three beautiful full grain natural leather panels, each hand tooled with real gold leaf. 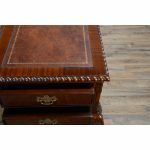 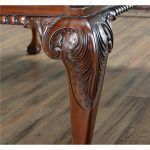 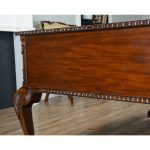 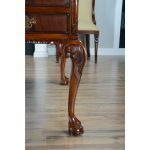 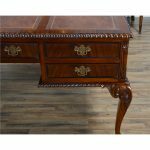 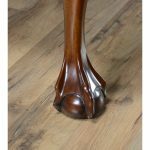 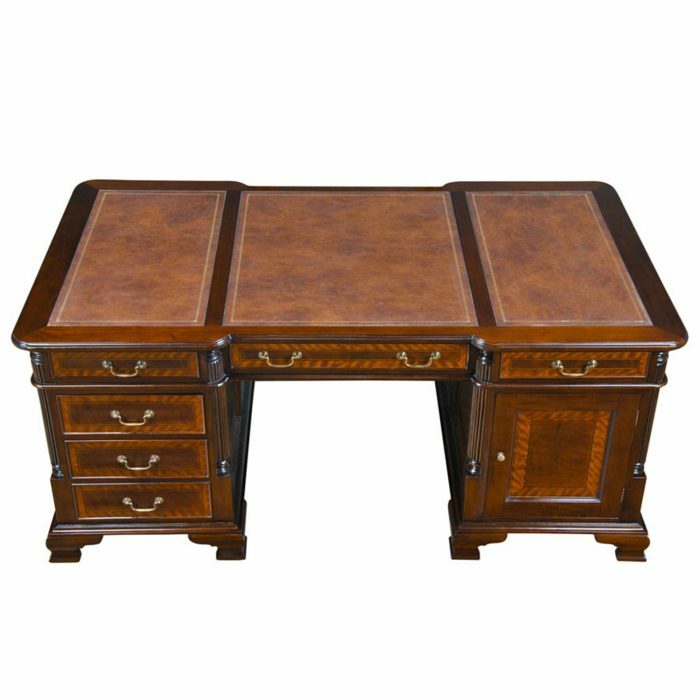 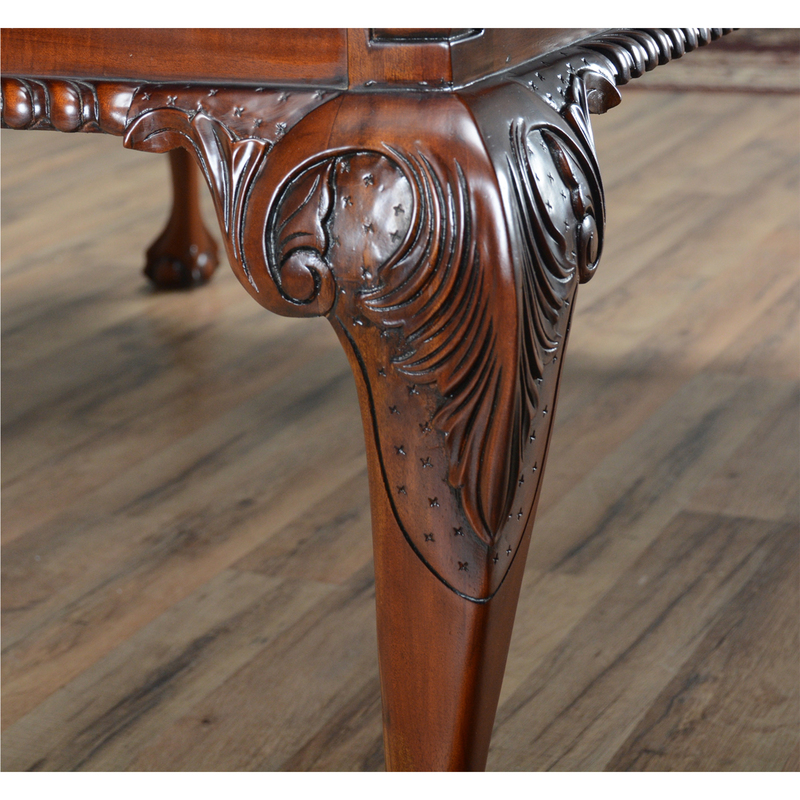 The Leather Top Partner Desk also features cabriole legs with carved acanthus leaf knees and ball and claw feet, all of which are carved from plantation grown, kiln dried solid mahogany. 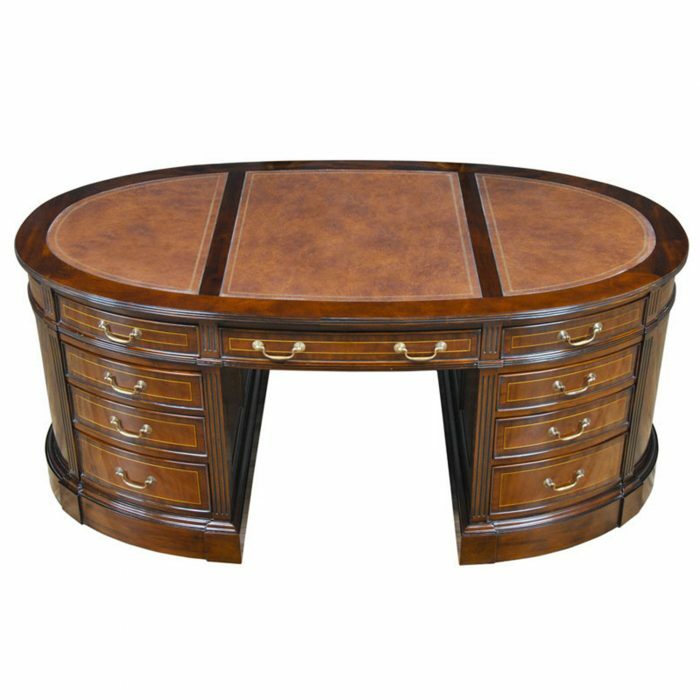 The desk offers ample storage with five drawers on each side.